Doug Nadvornick and Jeremy Burnham report on the McMorris Rodgers and Brown town hall meetings. 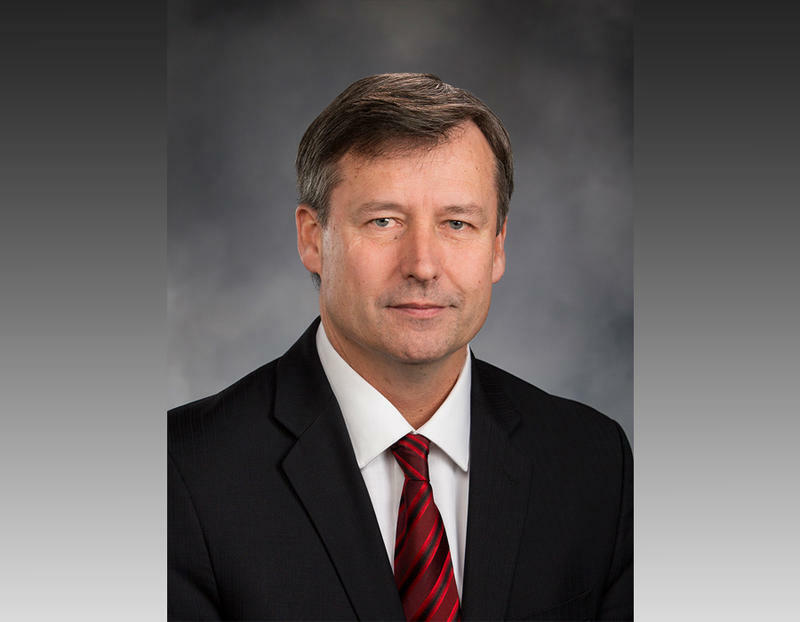 It was a night of dueling town hall meetings for the two candidates for eastern Washington’s Congressional seat. 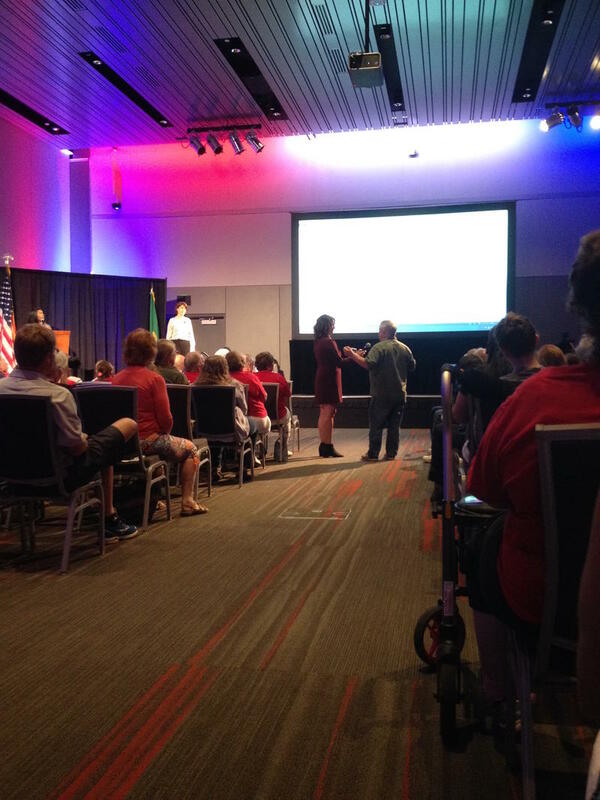 Republican Cathy McMorris Rodgers held an event at the Spokane Convention Center; Lisa Brown had hers in Spokane Valley. Fifteen high school students are on the Gonzaga campus this week learning about the brain. Spokane medical students from the University of Washington have given up part of their summer to inspire the next generation of medical students. 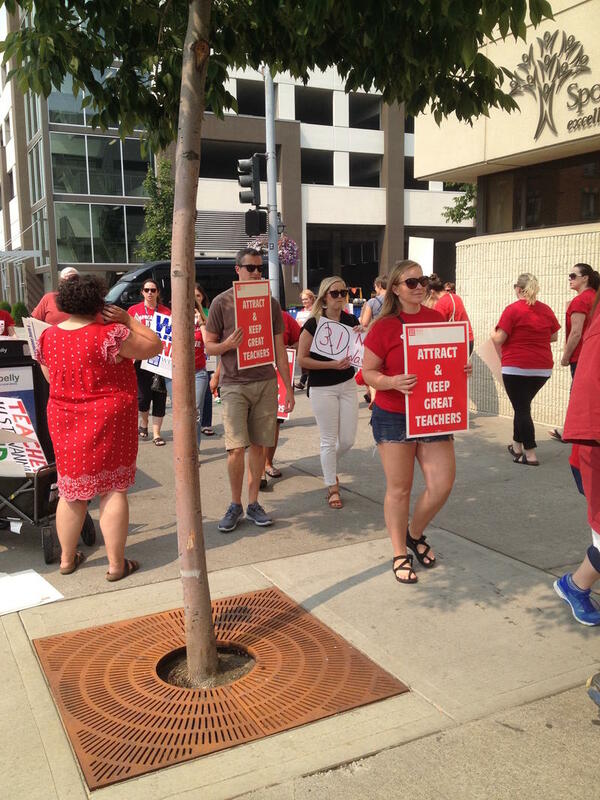 School teachers seeking a pay raise took to the sidewalks in downtown Spokane today [Thursday]. It’s one week before the new school year starts and they’re in the middle of negotiations with the district over how to distribute millions in new money from the state. Doug Nadvornick hosts the August 23, 2018 edition of SPR's Inland Journal. 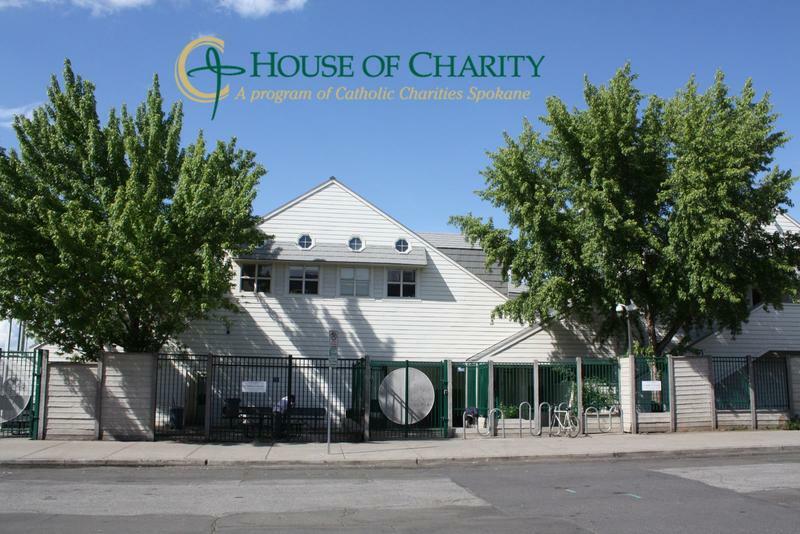 • Spokane’s House of Charity prepares to move away from 24/7 service for its homeless clients and the city plans to build another shelter. • Spokane resident Fitz Fitzpatrick talks about living with poverty and homelessness. • Spokane public defenders test drive a new text messaging option designed to help them get their clients to make their court dates. • We meet Spokane entrepreneurs Olga and Mavis Beary, who are developing an app to help you avoid lines at your favorite coffee vender. • Steve Jackson interviews a Seattle researcher who studies how smoke affects birds and their breathing. • We hear about how people in southern Oregon are turning the masks they use to breathe in smoky conditions into fashion statements. Doug Nadvornick talks with Olga and Mavis Beary about their Fine Grounds app. The phrase “There’s an app for that” has become one of the newest cliches in America. Applications on our smart phones provide all kinds of useful services, says Spokane entrepreneur Olga Beary. 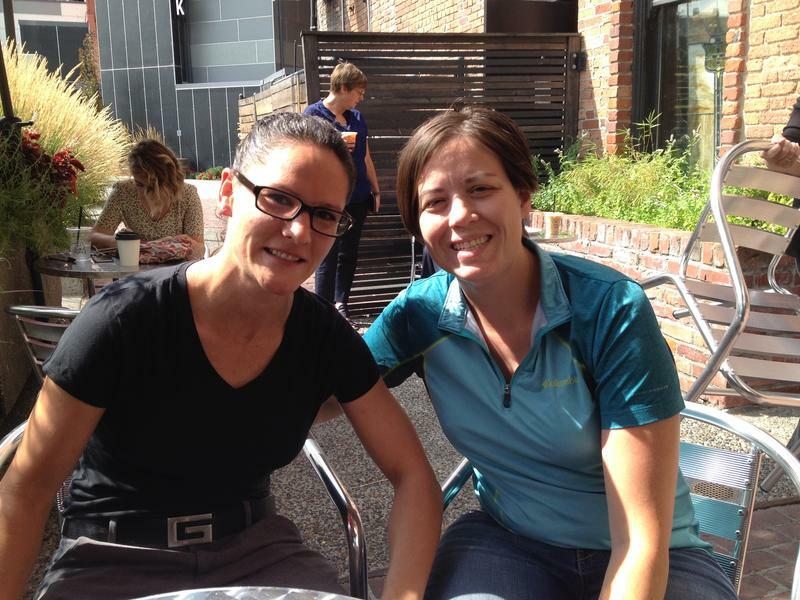 It’s no surprise that Olga and her wife, Mavis, are developing an app they call Fine Grounds. This week Spokane County public defenders begun using a new app that allows them to text their clients about upcoming court dates. On the surface, it’s a very small thing. But if you’re a defense attorney waiting for a client in the courtroom with an impatient judge, it would be nice to have that ability to send a “Where are you?” text. And, from the client’s point of view, it would be nice to have a communication link in case something goes wrong. Doug Nadvornick talks with Spokane resident Fitz Fitzpatrick about her struggles with homelessness and poverty. Many of those who stay in shelters at night live during the day on the streets. Some are in and out of housing. That was the case for Spokane resident Fitz Fitzpatrick. Fitzpatrick works as a political organizer, as a server at a local restaurant and as a performance poet. 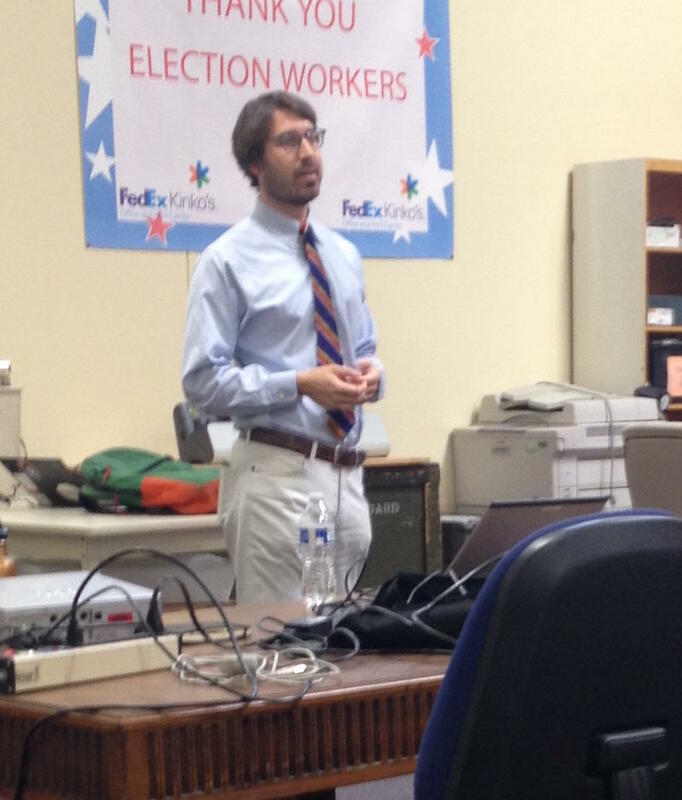 Fitzpatrick talked recently about living in poverty in Spokane. 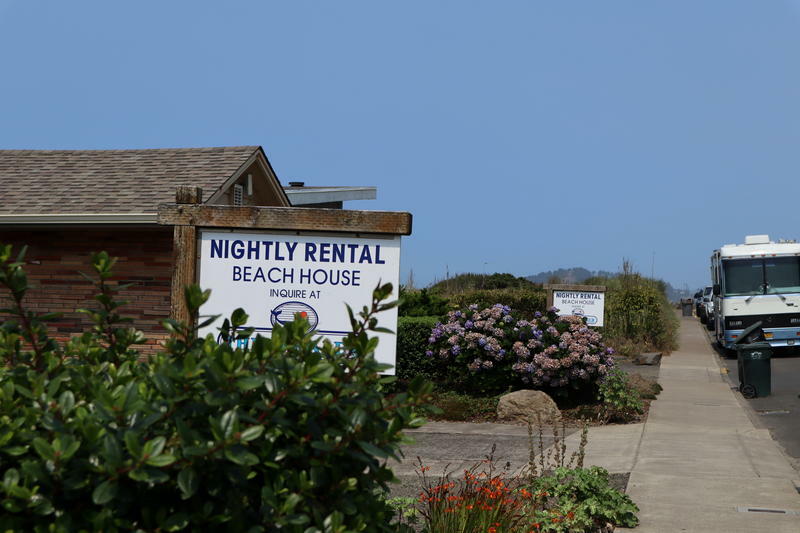 The cities of Portland and Salem made eyebrow-raising discoveries earlier this month when they compared the number of formally licensed short-term rentals with actual listings scraped off of the Airbnb platform. Around 80 percent of the listings appeared to be unregistered. Now, cities are finding a new way to monitor unregistered listings: third-party vendors with names like Host Compliance and STR Helper. Changes are coming to homeless shelters in Spokane. The city and charitable organizations are exploring new strategies to address homelessness. The House of Charity, Spokane’s largest shelter, will reduce the number of people it sleeps, beginning Sept. 1. Those beds won’t be replaced until the city opens a new shelter in nine months or so. Many social service advocates are concerned about what that will mean for homeless people this fall and winter.